"Why must the Word of God, and not culture or our own judgment or reason, be the ultimate authority in our lives?" Good morning and Happy Sabbath. We'd like to welcome you to our Sabbath School Study Hour this morning. Now, whether you're joining us online or through the various television networks, we'd like to extend to you a warm Sabbath welcome. We'd also like to welcome our online members and our local members right here at the Granite Bay seventh-day adventist church. Now, this quarter, we've been studying through the first and second books of Peter and this morning the lesson is lesson #12 entitled the day of the Lord. Now that's the day we're all looking forward to, isn't it? When Jesus comes in the clouds of glory. And so, if you're viewing for the very first time and you don't have the lesson quarterly, you can still go to amazingfacts.org and just click on the Sabbath school study hour. There, you'll find a little link entitled the quarterly and you can download the lesson for today. Now, our free offer is a very special offer. It's a full four-color magazine entitled the day of the Lord - and this is offer #825. And to receive this free gift, all you have to do is call -866-788-3966 to receive this full four-color magazine entitled the day of the Lord. You know, it's always a blessing when we have the opportunity to have afcoe here - that's our Amazing Facts center of evangelism - and they travel all over and the Lord has blessed them in so many ways and I know that the Lord will continue to bless them. And so, we have carissa mcsherry here and she's going to share with us - she's the assistant director for afcoe and she's going to share with us what the Lord is doing and what he will continue to do for afcoe. Thank you, carissa. Good morning. And to our viewers in serbia and montenegro, boshy bogoslov. It is a blessing to be back here in California. The afcoe team was just over in serbia and montenegro for about two weeks, meeting some incredibly beautiful people there who are passionate about God and about evangelism. We are glad to be here with you, again. I just want to share with you, briefly, about the afcoe program and an exciting opportunity you have here, at the Granite Bay church. Back in 2006, I had this burning passion - I wanted to be involved in evangelism - but I didn't know how. I remember hearing about this four-month Bible college called the Amazing Facts center of evangelism and, by the grace of God, I was able to attend. I was excited because I was looking forward to learning more about homiletics - how to preach - hermaneutics - how to study the Bible - digging into those deeper daily devotions. I wanted to know how to do a public evangelism seminar, how to share my faith with my friends, my neighbors, my coworkers - all of these things I was expecting to learn from afcoe and I was blessed by during my time at afcoe. But, if you would ask me today, 'what did you love the most about your time there at afcoe, I would tell you that the greatest blessing was being constantly in the presence of Jesus Christ. Yes, homiletics was wonderful. Yes, public evangelism was great. Yes - but the most incredible blessing was the fact that twenty-four/seven we were in the word. Twenty-four/seven we are praying together. We are going deeper with God together - and that was the experience that I loved the most about afcoe. Now, by the grace of God, I have an opportunity to work with the afcoe staff and we are excited because this fall, do you know where afcoe will be? Here, at Granite Bay church. We are going to be partnering together with you to work in this community to reach souls for Jesus Christ. Amen. Are you excited about that? Amen. This fall, we have our senior evangelist, dave steward and he will be coming here to conduct a full prophecy seminar. As part of the afcoe program this year - yes, preaching - yes, public evangelism - but there are other components that we are also adding. We are going to be strengthening that right arm. We are going to have a special emphasis on health evangelism and how to use that tool in our communities. Granite Bay church, have you heard about our 30-day health challenge? You've heard, alright. That is coming up in - do you know what month? September. September we'll begin a 30-day health challenge here at Granite Bay, and afcoe will be partnering with that. All of the afcoe students will be trained on how to conduct health evangelism. One of the other components of the afcoe program, following our four-month course, students then have an opportunity to travel to a foreign country and to conduct their own public prophecy seminar. That way, you're not just learning theory, but you then get to go and apply it. You get to go on visitation - you're following up with the people in the community that are wanting to be baptized. So there's a lot of new and exciting things that we're adding to the program for this semester. In addition to all of that, our goal at afcoe is not just to have students come and listen and be excited and think, 'wow, this is great!' Our goal, rather, is to say, 'no, we are disciplers'. Not only are we disciples of Jesus Christ, but we want to take these tools - we want to go back to our church the week after graduation and partner with the pastor and say, 'we can train the church on how to be more effective in reaching our community. So, not only are you learning these things for yourself, but you are being supplied with the tools so that you, then, can go back to your church and actually apply it there, day one after graduation. So there's a lot of new and exciting things that we're including in the afcoe program. If you've ever considered, prayed about it, been convicted to be a part of that program - or maybe you know someone who you think would be benefited by it - someone that does want to, again, be more involved in ministry and your community. I attended afcoe because someone in the church said, 'hey, I want to support you. I will help pay your way to go through that four-month training course.' And, because of his example - because of his mentorship, the Lord has continued to use me in ministry from there. So who knows? You may be that person to someone else. Today I want to share with you a brief clip about the afcoe program and I would encourage you again, check out our website - afcoe. org - pray about how you might lead someone to that if they want further ministry training, but also for ourselves. Here in the Granite Bay church area we have a special challenge. By the grace of God, this September, our family, our friends, our neighbors, our coworkers, are going to receive a special invitation to come here and to hear the Gospel of Jesus Christ. Even now may we be praying for the Holy Spirit to work in a mighty way here in Granite Bay and beyond. Does your heart burn for a better purpose? Do you yearn to do more with your faith? Do you desire to be a powerful witness ablaze for Jesus Christ? Where do you start? Make your first step at afcoe - the Amazing Facts center of evangelism. Here at afcoe I've learned so many things and my spiritual growth has just skyrocketed. Afcoe has distilled fifty years of Amazing Facts evangelistic expertise into a dynamic, professional, and educational experience that transforms the nervous Christian into a prepared and bold witness. Afcoe is really about learning while doing. It's a one-of-a-kind experience for those who are serious about entering Gospel ministry and those who simply want to make an impact in their local churches and communities. Go to afcoe. org today and explore this life-changing program. Afcoe - equipping soul winners. Setting the world ablaze for God. Amen. Let's have a word of prayer as we get into our lesson this morning. Father in Heaven, we thank you, again, so much for your many blessings. We thank you for your leading and guiding us here. Lord, we thank you that we can study together, wherever we are, Your Word this morning. And we just pray that your spirit will open our ears that we may hear, Lord, what you would have us to hear, that we may be ready for the day of the Lord. For we thank you and praise you. In Jesus' precious and holy name we pray, amen. Our lesson today is brought to us by Pastor Doug Batchelor. Who also forgot to turn his microphone on again. I was enjoying the program so much that I forgot. Welcome everybody. Good to see each person here. We're glad for those who may be visiting. I'm really excited about the afcoe program because, I believe that as the Gospel goes to the world, it's going to be not just pastors and evangelists that do it, I think the ministers need to do it - the members, rather - and I think that afcoe is just one of the best programs out there to teach members 'how do you get involved in evangelism?' So thank you for that. We are continuing our study in the first and second books of Peter - feed my sheep. Today, actually, we're going to be reading the last few verses in chapter 2 - I'm sorry, in the second book of Peter and - but before we do, we're going to get into our memory verse with our study. The study today is on the day of the Lord. I think you heard marshall say earlier, that's also the title of the free offer that we're making available. It's a great, beautiful color magazine that talks all about the second coming - from amazing facts - we'll send it to you free, just ask for offer #825 when you call that number on your screen, which is 866-study-more. And so, it's called the day of the Lord - we have a memory verse. The memory verse comes from 2 Peter 3:11 and you might want to find that - 2 Peter 3:11 - you can read it with me together right out of your quarterly. You ready? "Since all of these things are to be dissolved in this way, what sort of persons ought you to be in leading lives of holiness and Godliness?" Amen. Well, we've got a section that gets into that in just a minute. But, before we do, I'd like to encourage you - just turn with me to the 2 book of Peter, chapter 3. We're going to read chapter 3. Now this is the last verses in our study on Peter - there's one more lesson next week that will be covering, sort of, an overview of these two books and what we learn from them, but right now we're going to kind of take the last chapter in the second book - 2 Peter chapter 3 - and I'm going to read this for you and then we'll back up and take it apart piece by piece. One of my favorite chapters, "beloved, I now write to you this second epistle (in both of which I stir up your pure minds by way of reminder) that you may be mindful of the words which were spoken before by the holy prophets, and of the commandment of us, the apostles of the Lord and Savior, knowing this first: that scoffers will come in the last days, walking according to their own lusts, and saying, 'where is the promise of his coming? For since The Fathers fell asleep, all things continue as they were from the beginning of creation.' For this they willfully forget: that by the Word of God the heavens were of old, and the earth standing out of water and in the water, by which the world that then existed perished, being flooded with water. But the heavens and the earth which are now preserved by the same word, are reserved for fire until the day of judgment and perdition of unGodly men. But, beloved, do not forget this one things, that with the Lord one day is as a thousand years, and a thousand years as one day. the Lord is not slack concerning his promise, as some count slackness, but is longsuffering toward us, not willing that any should perish but that all should come to repentance. But the day of the Lord will come as a thief in the night, in which the heavens will pass away with a great noise, and the elements will melt with fervent heat; both the earth and the works that are in it will be burned up. Therefore, since all these things will be dissolved, what manner of persons ought you to be in holy conduct and Godliness, looking for and hastening the coming of the day of God, because of which the heavens will be dissolved, being on fire, and the elements will melt with fervent heat? Nevertheless we, according to his promise, look for new heavens and a new earth in which righteousness dwells. Therefore, beloved, looking forward to these things, be diligent to be found by him in peace, without spot and blameless; and consider that the longsuffering of our Lord is salvation - as also our beloved brother Paul, according to the wisdom given to him, has written to you, as also in all his epistles, speaking in them of these things, in which are some things hard to understand, which untaught and unstable people twist to their own destruction, as they do also the rest of the Scriptures. You therefore, beloved, since you know this beforehand, beware lest you also fall from your own steadfastness, being led away with the error of the wicked; but grow in the grace and knowledge of our Lord and Savior Jesus Christ. To him be the glory both now and forever. Amen.
" Alright, that's the end of Peter's words to us in Scripture. Now, I wanted to read it all and just get it together so we'd have the context. Now we're going to back up and we're going to take it all apart little by little. This is a very important chapter. It covers so much information. Matter of fact, those of you in the studio - we've got a guy back there that's kind of cranking and he's filming - he's going to have to crank about another four or five minutes because I'm just telling you, I might go a couple minutes long today. This is such an important lesson. Alright, first of all, the line of authority. Something you'll see early on in this lesson is that Peter is comparing the teachings of the apostles with Scripture. That's very important because the Bible they had back in Peter's day was the old testament prophets and the pentateuch and the Psalms. And Peter, notice what he says, in 2 Peter 3, verses 1 and 2, "beloved, I now write to you this second epistle (in both of which I stir up your pure minds by way of reminder), that you may be mindful of the words which were spoken before by the holy prophets, and of the commandment of us, the apostles of the Lord and Savior," - notice the connection that he's making between the words of the apostles and the prophets in his epistle. They even understood back then what Paul says - and Peter says, 'holy men spoke as they were moved by the Holy Spirit. Peter knew they'd been filled with the Holy Spirit, he knew that God had inspired him to write the things he was writing. They, even back then, believed what they were writing was Scripture. Another example for this is the end of chapter 3 - I just read it to you. Notice what Peter says about Paul - you ever heard the expression 'Peter robbing Paul' - this is not that. But here Peter does talk about Paul, "and consider that the longsuffering of our Lord is salvation - as also our beloved brother Paul, according to the wisdom given to him, has written" - Paul - "has written to you, as also in all his epistles," - there you've got that word 'epistles' again - "speaking in them...in which some things are hard to understand," - not that they're wrong, but he says, "those who are untaught and unstable" - twist the things that Paul says. What Paul says is true, but it says they do this as they do the rest of the Scripture. They call Paul's writing part of the Scripture because, he says, 'these people are twisting Paul as they do the rest of the Scripture.' Isn't that interesting? So even in their day, Peter is saying, 'what I'm writing, what Paul wrote is Scripture. Be mindful of the prophets (old) and the apostles (new) - see that? So he's giving us a line of authority that - they didn't say, 'oh we're just writing you a letter. Oh, we had no idea somebody would consider this inspired.' No, they did know it was inspired. And so, even back then, as they were writing it, they knew these were messages that God had given them. And it was Jesus that told Peter, 'I want you to feed people the Word of God.' You remember in John 21 Jesus kept saying, 'Simon, do you love me?' - Simon was another name for Peter - he said, 'Lord, you know I love you.' What did Jesus say? 'Feed my sheep.' And he asked him another time, 'Simon, do you love me?' And he said, 'I love you.' What did Jesus say? 'Feed my lambs. Then he asks him a third time, 'do you love me?' 'I love you.' 'Okay, prove it.' Do what? 'Feed the sheep.' So he says, 'feed the sheep' 'feed my lambs' 'feed the sheep' - what do you feed them? Peter says, I don't want to continue to feed you forever on the milk, I want to give you the meat of the word. And so he's talking about the lambs get the milk; the grown-up sheep get the meat or the grain of the word and this is where the authority was. Now someone's going to read, for me, I think 2 Peter 1:19 - who has that one? Okay, we'll get a microphone on that. While they're doing that, I'm going to go on to the next section here in - under the section about scoffers. It tells us in 2 Peter 3:3 and , "knowing this first: that scoffers will come in the last days, walking according to their own lusts, and saying, 'where is the promise of his coming? For since The Fathers fell asleep, all things continue as they were from the beginning of creation.'" And so, even then, Peter said, 'there's going to be people who are going to mock and they're not going to believe. They're going to scoff at the Word of God' - and does that happen today? It does. Alright, we're going to go ahead now, I think we're ready. 2 Peter 1:19. "And so we have the prophetic word confirmed, which you do well to heed as a light that shines in a dark place, until the day dawns and the morning star rises in your hearts." That what we hear - Peter is saying that the Word of God - the word of the prophets is something that dawns. Now, does the sun get brighter during the dawn? It's an increasing light - and so, what began with the pentateuch and the prophets and the Psalms and the minor prophets that expands, in the new testament, to the apostles and the other - the letters and the epistles and the writings. So, it was a growing light. And then Peter warns that scoffers will come in the last days. And where do these scoffers come from? Are these scoffers in the world that say, 'oh, where's the promise of his coming? You guys have been talking about Jesus coming. He's never come'? I don't think so. I think when Peter says 'scoffers will arise in the last days, he's talking about scoffers in the church. Doesn't Paul say 'even from among your own selves there'll be wolves'? And I think what Peter's predicting is even among those who claim to believe in the coming of the Lord, they're going to start doubting and they're going to say, 'oh yeah, we've been hearing this for a long time' and 'he's never coming'. You know, I think there were some people who started out helping Noah build the ark, but as the years went by - as the decades went by and there was no flood and there was no rain, they said, 'oh yeah, flood, flood, flood you've been telling us about the flood - there's never going to be a flood. Ever since The Fathers fell asleep it's been day after day just beautiful sunny skies.' And that's why Peter then refers to this. He said they're wilfully ignorant of what happened back in the days of the flood - that God can change things quickly. So you've got scoffers - 'where is the promise of his coming?' - Now, you know, one reason there are scoffers in the church - and even in the world? Is because - have there been people who have set dates for the second coming, through history? What happens every time another preacher comes along and says, 'I've finally figured it out - absolutely iron-clad - I've got the date when Jesus is coming.' And, in case you didn't know it, all of those dates have come and gone and it hasn't happened yet. Now, there was one group that set a date and when Jesus didn't come, they said, 'well, he did come spiritually.' Did you know that? Yeah, so the way they got around their failure is they say he came spiritually and - but everybody that sets dates, the other thing that happens, you know the old parable about the boy who cries wolf? And, boy, just gets a laugh when he shouts 'wolf, wolf!' And everybody from the village would come up to him where he was watching the sheep and they'd say, 'where's the wolf?' And he'd laugh, 'ha ha! There's no wolf!' And a few days later he'd cry 'wolf! Wolf! Wolf!' And all the people would come up with their pitchforks to kill the wolf - there's no wolf. Finally the wolf did come and the boy cried and nobody came. And what the devil is doing is, through these false prophets that have said, 'I know the date for the Lord's coming' - and when the Lord doesn't come - now, when pastors say 'get ready, the Lord is coming soon' - not even setting a date - people say, 'oh, we've been hearing this all our lives.' 'Back during world war I we heard this was it - 'the whole world's at war. This has got to be the end. What could be worse?'' Any of you remember world war i? Not too many left. I knew people that fought in world war i. They've all passed away now. And then, world war ii - even more deadly - and you've got nuclear weapons - or atomic weapons - and everyone said, 'this is it. This is it. You better not even buy green bananas because you're not going to have time. the Lord's coming any day now.' And then he didn't come. And then there have been all kinds of other things, you know, there's been wars, there's been plagues and then the planets lined up in 1984 and then Israel was reformed as a nation. They said forty years after Israel forms as a nation that will be it - 1988 - that's it. Hal lindsey wrote a book about that. Everybody was sure. It didn't happen. And so, now you hear people in the church, when you say, 'the Lord is coming again' - you hear people say, 'all things continue as they were from the beginning of the age. Sure he's coming - he's coming. You go ahead, get excited.' And that's why Christ said, 'in such an hour as you think not, The Son of man comes. Who is he talking to? The world or the church? When the church gets to the place where they're blasé about the imminent second coming, that's when it's going to happen. 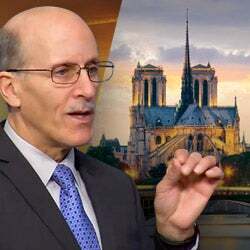 When even people who take the name of Christ - even people who take the name 'adventist' who, ostensibly, are the ones who believe in the imminent advent, when they get to the place where they just really don't get excited about the second coming, that's when you might find it's going to happen. That's what Jesus said, 'in such an hour as you think not, the son of man is coming.
' The day should not overtake us as a thief, but so many people have lost faith. There's another verse similar to Peter chapter 3 - you notice Jude, he actually plagiarized a little bit from Peter - I wonder if they sued him - Jude 17 - there's only one chapter - through 19, "but you, beloved, remember the words which were spoken before by the apostles of our Lord Jesus Christ: how they told you that there would be mockers in the last time who would walk according to their own unGodly lusts. These are sensual persons, who cause divisions," - notice, does he tell us that they're in the church - "sensual persons who cause divisions, not having the Spirit." He's talking about people who are claiming to be Christians. Now, let me make a suggestion to you and let me know what you think of this. I think the Lord - nothing surprises the Lord - I think the Lord knew that there would be a lot of false alarms before the real thing happened because the devil would do that to try to get people unprepared - have enough false alarms and pretty soon nothing alarms anybody. You sleep through the alarm clock often enough you don't hear it anymore. And Jesus foretold - when he talks about the second coming, in Matthew 24, he foretold, at the very end of that chapter, if that evil servant says in his heart, 'my Lord delays his coming' - now who is saying, 'my Lord delays his coming' - the world or the servant? The servant. An evil servant - he's lost faith - 'if that evil servant says in his heart' - he doesn't even say it outside - out loud - 'my Lord delays his coming' and begins to eat and drink with the drunken and smite his fellow servants, the master of that servant, he'll come in a day he's not looking for him and in an hour he's not aware of. And that awful - that sounds an awful lot like Exodus 32:1. It says, "now when the people saw that Moses delayed" - notice the word 'delay'. What does delay mean? If a person says, 'well, I didn't make it because I was delayed.' It means they came later than expected. And so, when Jesus was talking about the second coming, he uses the language of 'it could be later than you think'. It may look like it's delayed - is that how it looks today? I mean, how many people thought it would have been before today? Didn't the apostle say, 'behold, I come quickly?' So if that evil servant says, 'my Lord delays his coming' - Matthew 24 - what's the subject of Matthew 24? Second coming and signs of Jesus, right? Matthew 25 there's a parable. Someone read that for me, Matthew 25:5. Okay, nathan, you got that? Go ahead. "But while the bridegroom was delayed, they all slumbered and slept." Oh, you know, the parable of the ten virgins? Why do they go to sleep? The bridegroom. The bridegroom - who's the bridegroom? Come on, say it. Jesus. And what does it say about Jesus? Does he show up on time? Delayed. Or does it look like he's delayed? Now I've been at several weddings where the bride was late, but not too often the bridegroom. I was at one wedding where the bride was an hour late. But usually the bridegroom's there, but here the bridegroom is delayed. Now, it doesn't say that he just, you know, forgot - he slept in. Something holds him up. Why does Peter say that the Lord is coming later than we think? 'Not willing that any should perish, but all should come to repentance.
' He wants as many to be saved as possible. But you notice the word 'delay' - 'delay' - 'delay'? Let me give you another one: Samuel told king Saul, 'go down before me to gilgal. I will surely come and offer burnt offerings before you go to battle with the philistines. Seven days you wait and I will come and show you what to do.' Well, Saul, then goes down to the battle, the philistines are all gathered on one side and the army of Israel is gathered on the other side and they're getting all ready for the battle and six days go by and they keep waiting for Samuel. Seven days go by - at the beginning of the seventh day, Samuel's not there. Saul said, 'I'm tired of waiting. He's delayed. I'm going to go ahead and I'll offer sacrifice for myself.' And he wasn't supposed to do that because only the priest was supposed to do that. And what happened? In the time that he was tested, then Samuel came. The people saw Moses delayed and what happened? They went and they made a golden calf. They were being tested. And then Moses came. Did Samuel come? Yeah. Later than they thought, but he came. And king Saul lost faith. Did Moses come? Yeah, later than they thought. And what did he find? Many of them had lost faith. Could that happen again? Yes. Could we be living in a time of testing? And while the bridegroom tarried five wise; five foolish - some were prepared for the possibility of a delay. Isn't that what it's saying? They had stored extra oil - talking about the parable of the ten virgins. They had stored extra oil - they were prepared. This language of a potential delay is all through the Bible. Habakkuk chapter 2, verse 3, "for the vision is yet for an appointed time; but at the end it will speak, and it will not lie. Though it tarries, wait for it; because it will surely come, it will not tarry." In other words, it'll appear that he's late. Hebrews 10:37, "for yet a little while, and he who is coming will come and will not tarry. Now the just shall live by faith; but if anyone draws back," - he's talking about people who have lost patience. And what does it say? 'Here is the patience of the saints'. Why would you need patience Except you've got to wait? And so, I guess what I'm trying to emphasize - and I've got more verses on this too, is that we should not be surprised that it seems like it's taking longer than we thought because Jesus said that's how it would be when he comes - that there'd be the appearance of a delay, but the Lord would come - amen? Amen. He's going to come on time. Oh, hey, let me give you one more. In Revelation chapter 10, verse - and I'll post these notes online so that - if anyone wants the verses - Revelation 10:5 and , "the angel whom I saw standing on the sea and on the land raised up his hand to heaven and swore by him who lives forever and ever, who created heaven and the things that are in it, the earth and the things that are in it, the sea and the things that are in it," - the angel actually makes reference to he who created the heaven, the earth, and the sea, which is part of the Sabbath commandment - but listen to what he says - "that there should be delay no longer," - now, if you've got a king James version it says, 'time would be no more' - the exact translation for that you'd find in the King James version - delay will be no more. Now why would the angel say there would be no more delay unless there was delay? Right? We find this all through the Bible. Why does Jesus say 'he that endures to the end'? That means, 'you'd better hang on because it looks like it's taking - doesn't God, sometimes, wait until the last minute? I mean, you know, he gets the children of Israel to the red sea and there they are trapped, and the Egyptians are coming from behind and, at the final moment, God then brings deliverance. It may happen that way again. And then Peter says, in 2 Peter chapter 3, verse 8 - now someone's going to read for me in a moment Genesis 2:17 - just giving you a head's up - 2 Peter :8, "but, beloved, do not forget this one thing, that with the Lord one day is as a thousand years, and a thousand years as one day.
" Now why does Peter say that? He's talking to those who say, 'well, we've been hearing about the Lord's coming all this time, why's it taking so long? You know, most of the time in the Bible it seems like the apostles are saying, 'even so, come Lord Jesus' - 'behold, I come quickly' - and we're thinking, 'why is it taking so long?' How long has it been since Jesus said that? About two thousand years? Not quite two thousand years, but just about. He probably made that statement in 30 a.d., Which would mean in it would be two thousand years after the promise. That's a long time to say, 'I'll be right back.' (Laughter) and - so why can he say that? Peter says you've got to think like God thinks. Does God measure time the way we do? He says, 'with the Lord a day is like a thousand years, and a thousand years is like a day'. I'm going to read you a couple more on that theme. Peter, when he says this, is actually quoting psalm 90, verse , "for a thousand years in your sight are like yesterday when it is past," - now, does that make sense? For God, a thousand years is like a day - that's what Peter's quoting. Look at psalm 84, verse 10, "for a day in your courts is better than a thousand." And Ecclesiastes 6:6, "even if he lives a thousand years twice" - if he does not enjoy good things - "do not all go to one place?" Now, before you read your verse, I want you to think about something: God said to adam and eve, 'in the day you eat thereof you will surely die.' Isn't that what he said? Yes. And adam and eve ate the forbidden fruit and they fell over that 24-hour period. No. No? But if a day is as a thousand years and a thousand years is a day - go ahead, read your verse. "But of the tree of the knowledge of good and evil you shall not eat. For in that day that you eat of it you will surely die." How old was the oldest man? (Inaudible) methuselah? I always - you've heard me - really, the oldest man is Enoch because he's still alive. But of the old - of the people who have died, methuselah was what? 969 Years? And adam, who remembers how long he lived? 930. That was all the accountants who have Numbers in their heads that remembered that. How about Noah? I think it was 960? Anyway, they all lived around 900 years. Did any of them live a thousand one? No. So if a day is like a thousand years for the Lord and a thousand years like a day, they all died in that day. You see what I'm saying? Now someone else - I'm not the first one who's done this - g. Ed reid wrote this in his book, j.n. Andrews, one of the first missionaries in the adventist church wrote - they called it the seven-thousand-year theory - have you heard this before? Or the millennial week - and, basically, it says that it looks like the history of the Bible is summarized in a millennial week - meaning that if you just add up the ages in the Bible, the world, biblically, according to the history of adam, is right now, about six thousand years old. Matter of fact, I went to the e.g. White disc and I found seventy references to six thousand years - seven-zero - in those writings. For example - I'll read two or three of them real quick. In the book Great Controversy page 518, "the Great Controversy between Christ and satan has been carried forward for nearly six thousand years. It is soon to close.
" And you can read in adventist home, "for six thousand years satan has struggled to maintain possession of the earth." You can read in counsels on diet and foods - it says here, "the continual transgression of man for six thousand years has brought sickness, pain and death as its fruits." There's seventy references like that. And so, when you add up the ages in the Bible, it comes to approximately six thousand years. There's a few - there's a few difficult passages in the chronologies, like with Noah - it says Noah had shem, ham, and japheth, but it doesn't tell which was first and how old until the second one - we don't believe they're triplets. And so there's a couple places where - and you're adding up the chronologies - any of you ever try to add up the chronologies in the Bible? I did it once with a calculator and a friend and it's kind of fun. Everybody, you know, sometimes you miss a few things, but it's approximately six thousand years. How long is the millennium? A thousand. One thousand years. Doesn't God work on a basis, often in the Bible, six days you work, one day you rest? And doesn't it say six years you will sow your seed and then one year you'll let it - you'll sow your seed in your field, one year you'll let it rest. For six thousand years Jesus has been sowing the seed of the Gospel. What happens when he comes in Revelation? What's it pictured as? It's a harvest. And, during the one thousand years when we're in heaven, is there any farming going on here on earth? Planet's resting. They had a law among the Hebrews: for six years you could have a Hebrew slave, but then, at the end of that, you had to set him free. The jubilee. Yeah, there was a jubilee. Then he would go free at the end of that time. There's a number of stories like this that are illustrated in the Bible. Matter of fact, I've got a few other examples here. And, by the way, that's Exodus 21:2 - if you have a Hebrew servant he'll serve six years, the seventh he'll go free. The second coming. Sow your land six years - Exodus :10 - and then you can notice there's a pattern - you've got three epochs in the Bible - and I'm not the first one who's, you know, realized this. This is pretty basic theology. You've got the epoch of the patriarchs that goes two thousand years from creation to Abraham - Gospel was preached through adam and Enoch and Noah, methuselah, so forth - the patriarchs - they were not jews. Everybody here is related to Noah, right? Okay, then God calls Abraham and the next two thousand years you've got the epoch of Israel - the Hebrews - and they are the guardians of the oracles of truth. Their job is to introduce the Messiah to the world. And that goes up until the time of Christ. Abraham was born 2004 b.c. And then you've got Jesus is born 4 b.c. - It's very interesting - it really is two thousand years. And then you've got the epoch of the church - or spiritual Israel - whatever you want to call it - it's obviously a different time. And that's the last two thousand years. You've got two thousand, two thousand, two thousand. You know, Moses' life was divided into three great epochs: you've got the forty years in Egypt, the forty years alone in the wilderness, the forty years leading people from Egypt to the promised land. There were three Kings of Israel as a united kingdom - three epochs - again, three forties. You've got the time of Saul - forty years, the time of David - forty years, the time of Solomon - forty years. Isn't that interesting? All three, exactly forty years. Some Numbers do mean something - and I'm not - I think you should stay away from anything that smacks of saying, 'I've figured out the day or the hour of the Lord's coming, because we don't know that. One thing we can be sure of is that we are not sure of when he's coming. Matthew 24:36, "but of that day and hour no one knows, not even the angels of heaven, but my father only." So, let's suppose you got your calculator and you were sure you figured out when the Lord was coming - I have people tell me - I've had people telling me for years - I can remember after joining the church, you know, I was studying with a lot of groups that would say, 'oh, we've figured it out! It's going to be this date because this is forty years after Israel.' In 1988 - and then 'when the fig tree blossomed - that was the sign - forty years - the generation after Israel' - and they had it all figured out. Then they said, 'the planets are lining up' - in 1986 - and I guess they've lined up several times - 'that's it!' And everyone got excited - and there's always been the next thing, you know? There's going to be some blood moon - any of you remember that one? A few years ago everyone said, 'that's it!' And - but let's suppose you got your calculator and you could figure out the date. Now people are saying, 'it's not two thousand years from Jesus' birth, it's two thousand years from Jesus' death, which means 2031 Jesus is coming.
' Let's suppose you could figure that out. You don't know when he's coming because Jesus said, 'except those days be shortened, no flesh would be saved.' Which means he may come sooner than that time or no one will survive. And then there's a verse that says the Lord is longsuffering - he waits longer and he's delayed so it might be later than that date. And so the date doesn't mean anything. So whatever date you might come up with, the Bible's pretty clear that he could come later - he could come after, so what good's the date? Right? The only thing you get from looking at the signs of the times is just a sense that it is imminent. Now, do we see signs in the world today that look like the prophetic symbols - the flags are there? I believe we do. You can see in Matthew 24:33, "...when you see all these things, know that it is near" - when we see these things, just know it's near. And so, what should we do? So what? Is the next section in your lesson - so what you know it's near? Let's suppose that you could figure it out. What would you do differently? You know the danger of someone knowing the date? If you thought the Lord was coming in three years, you'd wait until the last week to get ready - like your taxes. That's human nature, right? (Laughter) you'd say, 'oh, I've got a week to get my taxes done.
' You'd live just like you've always lived until that week before. And then, through fear, you'd start getting ready for the Lord's coming. So if you love him, you want to be ready all the time. Amen. Because by the way, when the Bible says, 'the day of the Lord is coming soon' - it is coming soon because you don't know how long you're going to live and those of you who have gray hair out there - or no hair out there - (laughter) if I were to ask you 'does it seem like life went by pretty quickly?' What's your answer? Yes. Yeah. And, you know, all of a sudden you're making arrangements for your funeral and you're going, 'wow, it's almost over. It was quick.' And you know, the next thing you're aware of, if you die a believer, is the coming of the Lord. And, if you die an unbeliever, the next thing you're aware of is the resurrection at the end of the millennium. So, either way, it's going to be quick. You can count on that. Amen? Amen. It even came quick for adam. He was hoping to live forever and he only got nine hundred and thirty years. So what do you do? How does this make a difference? Peter tells us, 'therefore,' - since all of these things that we get worried about and distract about and pay for and finance will be dissolved - they're going to be burned up - 'what manner of persons ought you be in all holy conduct and Godliness?' You know, I'm frequently comforted with the truth that everything is going to burn except people that are redeemed. You've heard me say before Karen I moved from one house to another. We downsized. The problem is, when you live in one house for twenty-three years and then you downsize by thirty percent, you've got a lot of stuff. Do you know there's a law in life that whatever space you have in your home will fill with something? How many of you know that? This is a law. Space fills. You know, even God said, 'go forth and fill the earth.' And - and we did. So now we still have a garage of stuff. The house is full - the new house is full - we moved into and we don't know what to do with all the stuff. Garage sales are hard when you're as busy as I am and I - I'm telling Karen - I said, 'can I just get a dumpster and throw it out?' But some of it's worth something. I said, 'well, look, we've got three choices: we've got to give it away, you've got to throw it away, or you've got to burn it - sell it - I mean, or you keep it, but you've got to do something. And chances are, if you have something you have not used for two years, you don't need it. Did you know that? There's that widget or that nut or that bold that you might use once every five years - we'll put it in an organizing drawer, but otherwise, get rid of it. Otherwise you become a slave to your clutter and it is all going to burn. I've got a friend, he owns a storage facility in a town and he said you'd be surprised how many people pay thousands of dollars over years to store stuff and then they die and he goes and they open it up and they spent thousands of dollars storing stuff that wasn't worth fifteen dollars. But they can't bring themselves to throw it away. 'Seeing then that all these things will be dissolved, what kind of people ought we be in all holy conduct and Godliness' - the only thing that matters is not these things, it's being ready for eternity. He says, again, 2 Peter 3:14, "therefore, beloved, looking forward to these things, be diligent to be found by him in peace, without spot and blameless;" - someone's going to read for me Luke 21:36 in just a moment, okay? And then you look in 1 Peter - going back a book - he says the same thing in 1 Peter 1:15, "but as he who called you is holy, you also be holy in all your conduct, because it is written, 'be holy, for I am holy.'" And so, how do we respond to the nearness of the Lord's coming? Godly living. the Lord loves the pure in heart. Go ahead, read for us Luke. 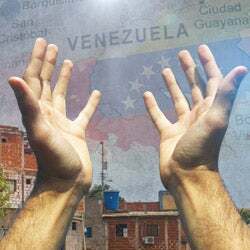 Luke 21:36, "watch therefore, and pray always that you may be counted worthy to escape all these things that will come to pass, and to stand before The Son of man.
" He says to watch and to pray - 'watch therefore, you do not know what hour your Lord is coming. But know this, that if the master of the house had known what hour the thief would come, he would've watched and not allowed his house to be broken into. Therefore, be ready.' Now, you know, I love whenever I see the word 'be' in the writings of Jesus because the word 'be' is an empowering word. When Jesus said to the leper 'be clean' he was cleansed. And if the Lord says 'be ready' doesn't that mean we can be ready? It's possible to do what the Lord is commanding us to do. Let me give you one more from the book of Titus 2, verses 11 through 14, "for the grace of God that bring salvation has appeared to all men, teaching us that," - notice - "denying unGodliness and worldly lusts, we should live soberly, righteously, and Godly in the present age," - look what he pops in the middle of that - "looking for the blessed hope and glorious appearing of our great God and Savior Jesus Christ," - so he's saying while you look for the blessed hope of Jesus, we're to live soberly, righteously and Godly. Look what he puts afterward - "who gave himself for us, that he might redeem us from every lawless deed and purify for himself his own special people" - so when Paul talks about the second coming - the blessed hope - he does it in the context of Godly living. So, as Seventh-day Adventists, when we talk about the advent of the Lord, what's the whole thing that should surround the teaching of the advent? A teaching of Godly living - because isn't that what Christianity is about? the Lord saves us from our sins that we are to live a different kind of life in this wicked world, seeing that all these things will be dissolved. Then you've got Peter's final appeal - 2 Peter 3:17 through , "you therefore, beloved, since you know this beforehand, beware lest you also fall from your own steadfastness, being led away with the error of the wicked; but grow in the grace and knowledge of our Lord and Savior Jesus Christ." - There's to be a growing there - "to him be the glory both now and forever. Amen.
" Thessalonians 5:1 to 6 - he says, "but concerning the times and the seasons, brethren, you have no need that I should write to you. For you yourselves know perfectly that the day of the Lord so comes as a thief in the night. For when they say, 'peace and safety!' Then sudden destruction comes upon them," - I'm going to close with this thought - I think it's very important. Here I quoted from Paul - 1 Thessalonians 5, where he talks about the day of the Lord coming as a thief in the night. Some people read the day of the Lord coming as a thief in the night - talking about the coming of the Lord, right? And they believe that you'll be walking down the street and all these people will be sitting on a plane or in a car and all of a sudden - pop - pop - pop - pop - pop - pop - pop - all these people disappear. And they've been raptured up. And then, the time of tribulation begins. And, for seven years there's a tribulation and a hundred and forty-four thousand literal jews from all twelve tribes will start to preach the Gospel and, in the middle of that last seven years of tribulation, they'll rebuild the temple and the antiChrist will sit in the temple - how many of you have heard this? I'd say over fifty percent of evangelicals in North America believe this idea of the secret rapture, but when you read about the Lord coming like a thief - they call it the secret rapture - 'he's coming like a thief' - 'they just disappear' - what does Peter say happens when he comes like a thief? Notice this: the day of the Lord will come as a thief in the night in the which" - you've got to read the rest of the sentence - people stop - "the day of the Lord will come as a thief in the night in the which the heavens will pass away with a great noise and the elements will melt with fervent heat and the earth and the things that are in it will be burned up." So when he comes like a thief, does it say life goes on for seven more years, or is it pretty clear that that is it? When he comes like a thief it means it surprises the world. That's why Jesus said he's coming in a day that you don't look for him. So, a lot of the - and, by the way, what I'm sharing is not a new theology. This is what Christians believed for two thousand years. The idea of the secret rapture is new theology. You can trace that back a hundred years. And so, but most of the Christian world now is believing the reverse about the second coming. Follow me: when Jesus came the first time - I'm almost done - when Jesus came the first time, was the church ready? No. No. Why? Because the religious leaders took the prophecies about Jesus coming like a lion and they confused them with the prophecies of Jesus coming as a lamb. They wanted him to come first - loud, king, take control, overthrow enemies. They got the prophecies mixed up through ignorance. Now what's happening? The devil is confusing the church the same way - they are reversing where Christ comes like a lion and they've got him coming quietly - people just disappearing. And because they're not prepared - they don't understand how he's coming, then there's going to be great deception. A lot of people aren't going to be ready. Let me tell you how this works. A lot of people - I've talked to them - they say, 'oh yeah, well, there's going to be a secret rapture, but we'll have another seven years to have a second chance and if I'm not ready when people start disappearing, that'll be my cue to start getting serious.' And so there's a lot of people out there that believe this teaching - this hal - what do you call it? - This hal lindsey/time lehay left behind teaching? They believe, 'well, when we start seeing planes fall out of the sky because the Christian pilot was raptured, then we'll know it really was true. And now we'd better get ready. It's going to be tough because we've got to do it during the tribulation, but at least then we'll know and we can get ready and we'll be saved.' The devil loves the idea to give people the false idea they've got a second chance. There is no second chance. He's coming. Next time he comes every eye is going to see him. It's - it's going to be a surprise for most when it does happen and it's certainly not going to be a secret. Alright, I just want to - in close - in closing we have one more lesson next week where we're going to do an overview in Peter. I want to remind people we've got a premium free gift we're going to send to anybody. It's this new magazine by Amazing Facts - beautiful magazine - it's full of illustrations. It would look like a commercial except it's free - we just wanted you to order it - called the day of the Lord - and we want you to read it and then share it with someone because we're running out of time, amen? It's offer #825 - just call the number 866-788-3966 - we'll send it to you. Please read it - share it with someone else and, with that, God willing we'll study His Word together again next week. Let's face it, it's not always easy to understand everything you read in the Bible. With over 700,000 words contained in 66 books, the Bible can generate a lot of questions. 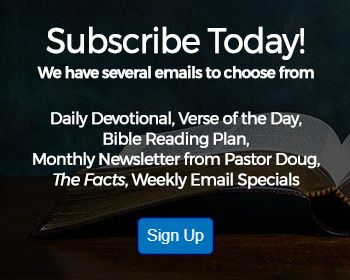 To get biblical straightforward answers call in to Bible answers live - a live nationwide call-in radio program where you can talk to Pastor Doug Batchelor and ask him your most difficult Bible questions. For times and stations in your area, or to listen to answers online, visit bal.amazingfacts.org. We're here in ponce, puerto rico in an iguana park surrounded by big lizards or small dinosaurs - depends on how you look at it. These magnificent creatures are found mostly in Mexico, central America, and south America - and the caribbean islands. Here's a few Amazing Facts about iguanas: iguanas come in a great spectrum of colors. They can be brown, green, blue - and their skin will often work as camouflage, allowing them to hide in the jungle. They're social creatures who like to eat together and, what's really interesting, even though they look fierce, iguanas are vegan/vegetarians. They're regarded as popular pets though, if they're not cared for, they can actually just stop eating and will themselves to die. Typically iguanas just lay eggs and they abandon their offspring. So those little iguanas have to fend for themselves from the time they're born. If they're attacked, they'll fight with their tale, either punching or whipping their opponent. It's interesting seeing a dog running for mercy after being whipped by an iguana. Also, to ensure a fast escape, they can detach their tail and later grow another one. Iguanas generally like to live around water and they can swim away escaping from predators. Green iguanas, in particular, are excEllent swimmers. They have the ability to inflate themselves and swim incredible distances. This is one way they've been able to populate the different islands of the caribbean. What's incredible is these creatures have lungs where they're able to hold their breath for up to twenty-eight minutes, putting even a crocodile to shame. They also know how to compensate for when things get hot or cold. They can regulate their body temperature using the loose flaps of skin they have under their throats and under their legs. You might even say an iguana has esp because God made them with, sort of, a third eye on top of their head. They can't really see with it, but it's a photo receptor that helps them to regulate their bodies' circadian rhythms. You know, in the same way that God made iguanas where they're some of the toughest creatures in God's natural kingdom, Christians need to learn to be resilient in the Spiritual realm. Through God's grace we can learn to be great survivors. Paul says, in 2 Corinthians 4, verses 8 and 9, "we are hard pressed on every side yet not crushed. We are perplexed yet not in despair, persecuted yet not forsaken, struck down but not destroyed" - I think, friends, we all know sometimes life can be tough. We feel like we're being beaten and pressed on every side. Sometimes there's health problems, relationship problems, financial reverses - but in the same way God made the iguana resilient, God can help you to bounce back. Jesus said that through his help we can be overcomers and we are able to endure. If you turn to him and ask him for his help and his spirit he will recreate you and make you even tougher than an iguana. Wouldn't you like to ask him now? Can't get enough Amazing Facts Bible study? You don't have to wait until next week to enjoy more truth-filled programming, visit the Amazing Facts media library at 'aftv.org'. At 'aftv.org' you can enjoy video and audio presentations as well as printed material all free of charge, 24 hours a day 7 days a week, right from your computer or mobile device. Visit 'aftv. Visit 'Biblehistory.com'. 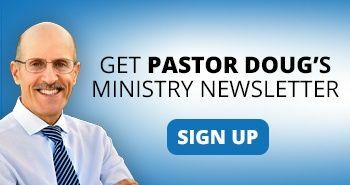 For life-changing Christian resources visit afbookstore.com or call -800-538-7275. Good morning and Happy Sabbath. We'd like to welcome you to our Sabbath School Study Hour this morning. Now, whether you're joining us online or through the various television networks, we'd like to extend to you a warm Sabbath welcome. We'd also like to welcome our online members and our local members right here at the Granite Bay seventh-day adventist church. Now, this quarter, we've been studying through the first and second books of Peter and this morning the lesson is lesson #12 entitled the day of the Lord. Visit 'Biblehistory.com'. 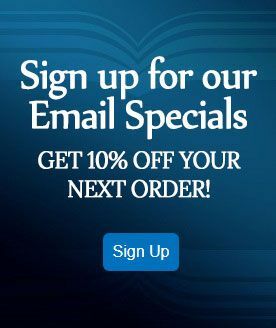 For life-changing Christian resources visit afbookstore.com or call -800-538-7275.